If you haven’t given your garage door springs a second thought, you’re obviously not alone. However, this is an extremely important part – in fact, it makes raising and lowering the door possible. If something goes wrong, not only will your door not work correctly but you and your family could even be in danger of suffering an injury. Some people who experience issues with their garage door springs try to fix the problem on their own. However, this is typically a very risky choice because springs are very tightly wound. If you don’t know exactly what you’re doing, it would be easy to make a mistake that could hurt you very badly. You should always let a professional check your door if it is showing signs of age to be on the safe side. Even though you shouldn’t try to repair your garage door springs, there are some things you can do to help keep them maintained. If your springs are squeaking, that may not mean you have a serious issue. You can get some garage door lubricant and see if that makes a difference. In most cases is will, but if it doesn’t you should have your door checked as soon as possible because you could have a problem. Keep an eye on your door and make sure that it not only opens smoothly but also quietly. Pull the cord attached to the trolley system and see if you can open the door manually. If that proves difficult, then your springs may be out of balance. This issue will not fix itself, of course, and will only worsen over time. 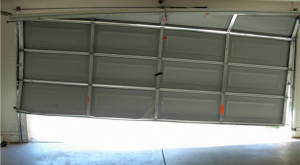 If one of your garage door springs should break, a serious injury could result. Let a professional technician with Action Garage Door check your garage door springs to make sure they are working properly. Call us at 817-204-0917 or contact us online to schedule an appointment.